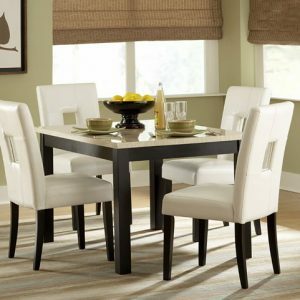 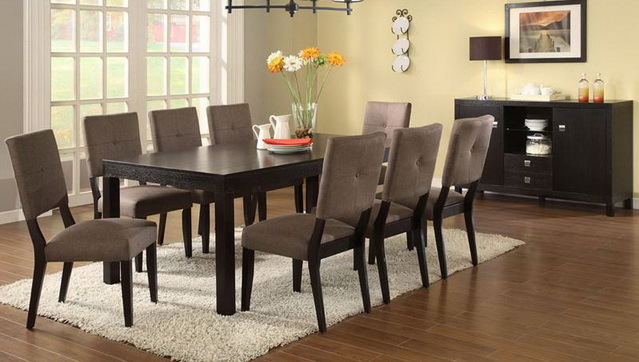 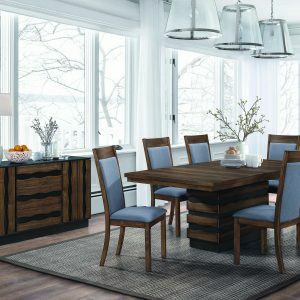 This contemporary dining set and server will create a stunning focal point for your home. The clean straight lines of the minimalist table and padded upholstered chairs create a perfectly functional and elegant atmosphere. 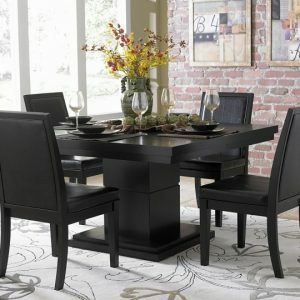 Matching bench also available.